Everyone is born with in-built safety mechanisms – the flight, fight and freeze syndrome. Most people are aware of the flight and fight part of the equation, however most are not aware of the freeze portion of it. When flight and fight fail to save us from a life threatening situation, the freeze portion kicks in. It happens when the mind is so overcome by absolute fear to the point of terror, it shuts down. We have all played ‘possum’ as children when playing hide and seek so that we do not give our position away; this is role playing for a real event. The aim is for the attacker to be distracted by the thought that we are dead- because that is what it looks like as every part of our body is in suspended animation. It is the last ditch attempt to save us – where we may take advantage of the distraction, if it is profound enough, to escape. If this does not work than we remain in suspended animation and feel nothing. It is well documented that people in horrific accidents have no recollection of the actual event, and feel no pain until they awake in hospital in extreme pain. Children under the age of eight years have not developed a fight response. They as just too small to fight an opponent, unless it is a child of the same size as themselves. In its place they do have the most ear piercing scream imaginable – we have all heard this from very young children. Unfortunately, in today’s urban society this attribute of the young child is discouraged. They are told they are naughty and made to feel bad when they make too much noise. It is a genuine concern for the parents that their children cannot make excessive noise as it may disturb the neighbours. Unfortunately, they unwittingly deactivate the child’s greatest defence in their first few years. In most children now, this lifesaving response is totally deactivated. This leaves them only with flight. Unfortunately fear that is instilled in them from the stranger danger message, will automatically trigger the freeze response. This is extremely dangerous as they are immobile and unable to scream or run. As a society we need to understand why children have this ear splitting scream, and ensure they are not punished for using it, but to teach them its proper use. It is not to be used to get ones own way; only when scared and afraid. This deactivation of the scream and flight response is unfortunately, the opposite response that parents want for their children. Sadly, the stranger danger message based on fear is now totally ingrained in the minds of children and their parents. It has created a whole culture based on this fear. Parents are afraid of letting their children out of their sight, even in their own front yard. Parents now drive their children to school, where once they walked or rode bicycle in a manner that the parent deemed safe. This practice has created grid lock around schools with more accidents happening at the school entrances than previously. Police resources were allocated to school entrances. In major cities now traffic lights and very slow maximum speeds are being installed during the hours children are arriving, and leaving schools. There were always reduced speeds in these areas. The new, even slower speeds are adding to the stress and frustration of parents, and other road users who need to allocate extra time to get to get about their own business. In major city shopping centres, older adults have always had a smile for a child. They are no longer able to do so, as children react with fear. Their kindness is being met with rude gestures and facial grimaces. It seems that our intuition and body language, which is also a part of our safety mechanism, is a forgotten part of who we are. 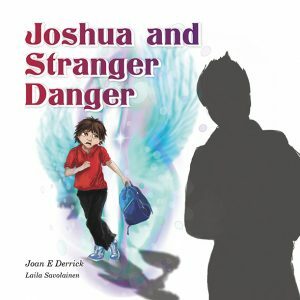 My aim in writing Joshua and Stranger Danger was to present a different approach to the subject of stranger danger, based on our innate wisdom. I used a Spirit Guide Tav, to bring this knowledge to Joshua on how to respond to such a situation. Tav made Joshua aware of how his intuition brought messages into his mind that gave him directions, in particular situations. He explained how the creepy crawly feeling he felt in his skin, the tight knot in his tummy and the feeling of his hair standing on end, was his body language; all of which was warning him of a dangerous situation. Tav also spoke to him of energy fields and how to detect them around himself and others. All of these innate abilities are part of our safety mechanism;are extremely powerful and are useful in all areas of life -not just for dangerous situations. In fact they are so powerful our innate wisdom gives us the ability to be proactive in preventing wrong decisions and danger.